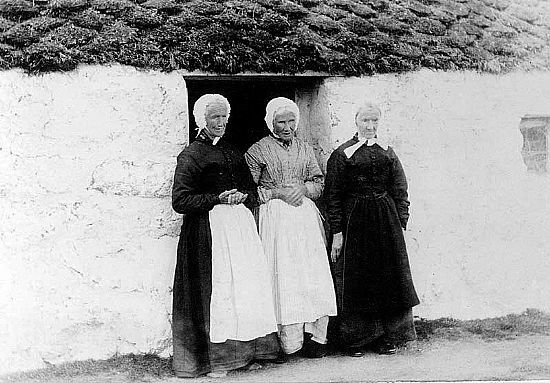 This late 19th Century picture of a Blackhouse was taken on the Dunmaglass Estate. Are the three ladies sisters? Doubtless, their surnames would have been Macgillivray as were the overwhelming majority of Dunmaglass people. Their life must have involved much hard work just to complete a day's domestic chores. Note the interesting pattern on the turf roof.